The Warren is an 8 bedroom lodging house located in the centre of St Peter Port. The Warren, when fully let, would present its proprietor a potentially achievable yield of 10%. The current gross rent - which is currently in advance on a weekly, rolling basis - is in the region of £63,180 per annum. The rooms are serviced by one bathroom, a separate wc and a kitchen fitted with a cooker, microwave, washing machine and tumble dryer. 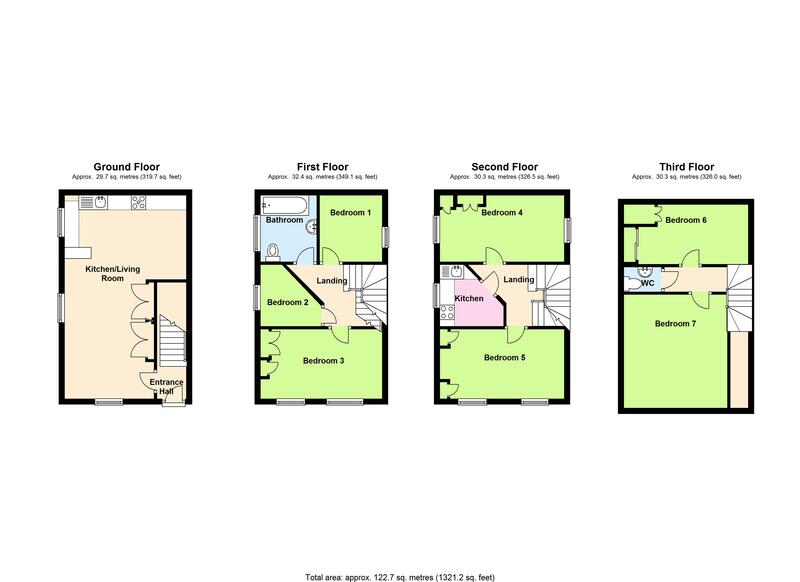 Contact Cranfords today on 243878 to book your viewing! 23'1'' x 10'2''. Appliances include Indesit dishwasher, Homark five ring gas hob, Igenix microwave, and space for fridge and freezer.